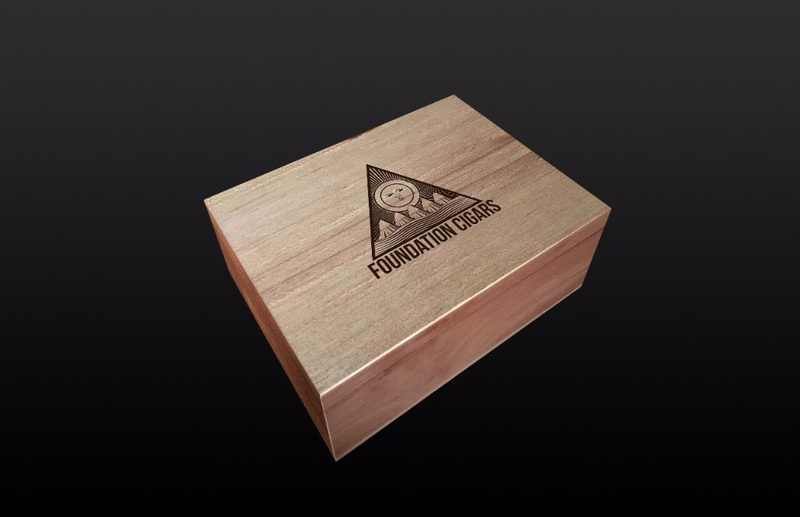 Foundation Cigar Company has announced that it is releasing a limited number of Chest Collector Humidors. The project is meant to pay homage to the State of Connecticut, the home of company President Nicholas Melillo. The humidors will be available for purchase at the 2017 IPCPR Trade Show in Las Vegas in July. “We wanted to honor those predecessors who brought the leaf to the state, worked with different varieties and really put Connecticut on the map with regards to tobacco. We’re talking about hundreds of years of experimentation to arrive at the incredible point where we are today,” said Nick Melillo, President of Foundation Cigar Company in a press release. 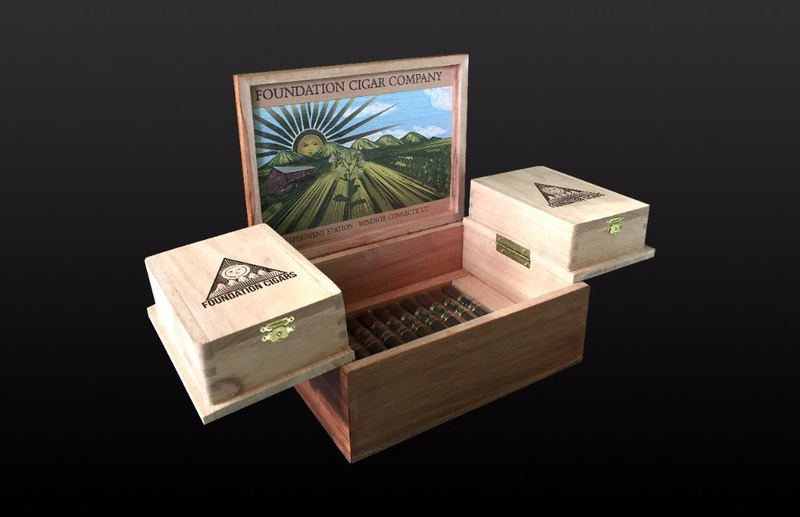 Each box sportcs the Foundation Cigar Company logo burned into the outside of the box. The inside lid contains an original artwork by artist Alex Thief Operandi. 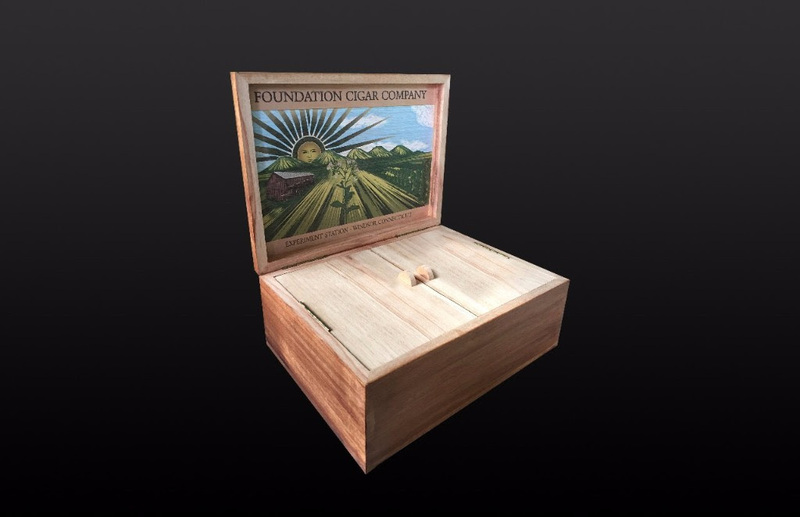 The box itself then opens with a double doored, “cabinet,” style opening revealing a layer of cigars below, with the two wings each containing Foundation Tabernacle Corona cigars. There will be a total of thirty Tabernacle Corona cigars in each unit. The Tabernacle also pays homage to Connecticut as it features a Connecticut Broadleaf wrapper. “Experiment Station was where they kept all the seeds and different varieties while they (the farmers) were experimenting. It was documented. At the same time this was not just a building and a place but it was really a state of mind. I know that sounds cliché but truly, these farmers and growers spent time, money, thought, really painstaking effort to find varieties of tobacco that would not only grow, but thrive. They were pulling seeds from all over the world bringing them back to Connecticut and putting things together. Fast forward to today and we have our amazing Connecticut Shade and one and only Broadleaf. 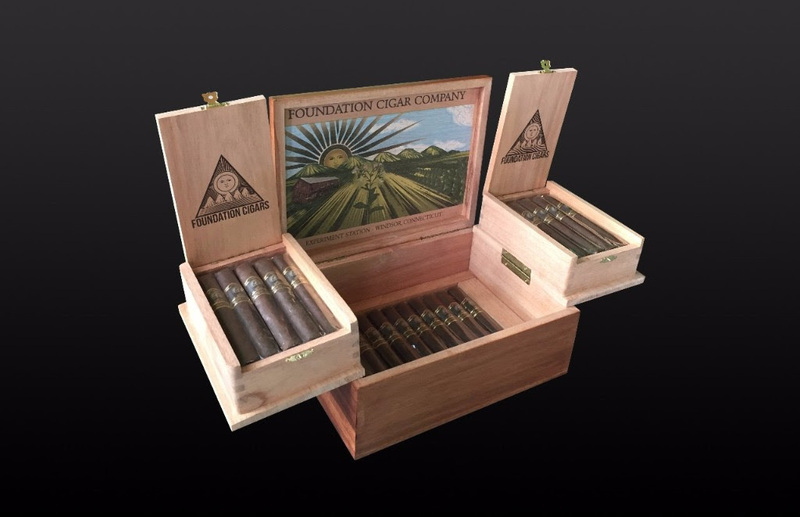 “We at Foundation Cigar Company are honored to be a part of this long and amazing tradition of tobacco in Connecticut. Our office is on a tobacco field. Fifty-three acres of the most beautiful fields you have ever seen. When we look out the windows we are looking at three old tobacco barns, that over the years have seen thousands upon thousands of pounds of tobacco move through on their way to becoming cigars. Our goal is to keep alive Experiment Station.” continued Melillo. Foundation estimates there will be only a “couple hundred” Collector’s Edition humidors produced. I believe it is the same tobacco components, but adjusted to the size of the Corona.